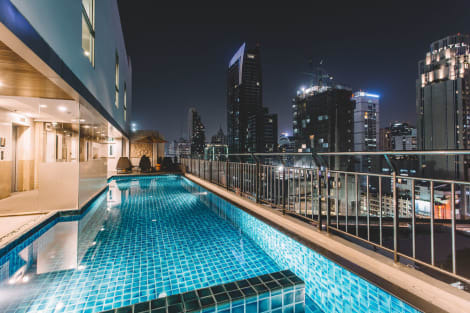 Located in Bangkok (Sukhumvit), Fraser Suites Sukhumvit, Bangkok is within a 15-minute walk of Terminal 21 Shopping Mall and Nana Square. This 4-star hotel is 1.4 mi (2.2 km) from Erawan Shrine and 1.5 mi (2.4 km) from CentralWorld Shopping Complex. With a stay at Best Western Premier Sukhumvit in Bangkok (Sukhumvit), you'll be within a 10-minute drive of Terminal 21 Shopping Mall and Nana Square. 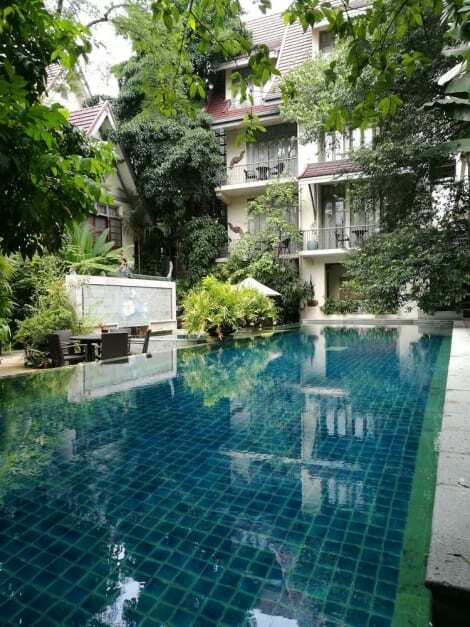 This 4-star hotel is 1.4 mi (2.3 km) from Erawan Shrine and 1.5 mi (2.4 km) from CentralWorld Shopping Complex. Enjoy a meal at the restaurant or snacks in the coffee shop/café. The hotel also offers room service (during limited hours). Relax with your favorite drink at the bar/lounge or the poolside bar. Buffet breakfasts are available daily from 6:30 AM to 10:30 AM for a fee. 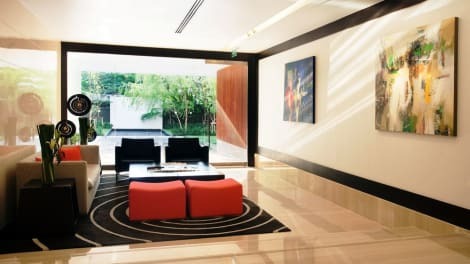 Make yourself at home in one of the 347 air-conditioned rooms featuring refrigerators and minibars. Complimentary wired and wireless Internet access keeps you connected, and satellite programming provides entertainment. Private bathrooms with shower/tub combinations feature deep soaking bathtubs and complimentary toiletries. Conveniences include phones, as well as safes and desks.